Another 31 wins & 61 nominations. After years of sitcoms about dysfunctional families, Fox came up with a winner in The Bernie Mac Show. Even though it's a one camera comedy with no studio audience or laugh track, it's a sitcom I really enjoyed since the episodes usually featured Bernie talking to the home audience from his easy chair, referring to the people watching at home as "America." But Fox kept moving this sitcom around to different slots and Bernie Mac's movie career began taking off which is why I thought led to the show's cancellation after five seasons. The supporting cast was outstanding, including Kelita Smith as his wife Wanda and the young actors who play Vanessa, Jordan and "Baby Girl" added a lot to the show. One line I'll always remember was Bernie's declamation of tough love "I'm gonna bust your head until the white meat shows!" 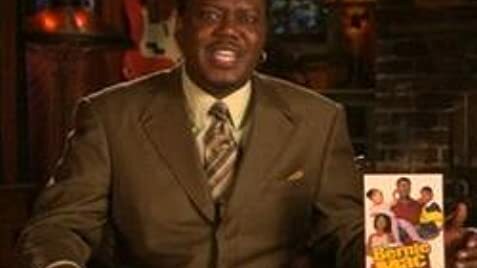 It's a shame that Bernie Mac died suddenly at 50. America, his show will live on in reruns. Production on the fourth season had to be suspended for eight weeks in order to allow Bernie Mac to recover from a serious case of pneumonia.